The Obama Timeline, Can It All Be Coincidence? A jury at a murder trial will often find the accumulated circumstantial evidence so overwhelming that a guilty verdict is obvious—even though there may be no witness to the crime. Arizona Censures McCain For Organized Crimes Of ‘Liberal’ Record: Corrupt Senators Attend Rothschild’s Mafia Davos! Obama Signs Two ‘Gun’ Executive Orders Violating U.S. Laws: Duty To Defy Every Executive Order! In the four years I have been gathering information about —and evidence against— Barack Hussein Obama, I have encountered hundreds of coincidences that strike me as amazing. 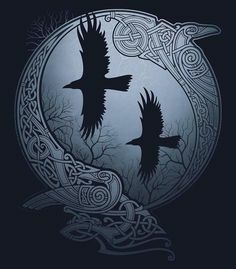 None of those coincidences, by themselves, may mean much. But taken as a whole it is almost impossible to believe they were all the result of chance. Obama, Jarrett, & G.E.’s Immelt ~ G.E. Controls Much Of MSM. Valerie Jarrett also just happened to work for the city of Chicago, and just happened to hire Michelle LaVaughan Robinson (later Obama), who just happened to have worked at the Sidley Austin law firm, where former fugitive from the FBI Bernardine Dohrn also just happened to work, and where Barack Obama just happened to get a summer job. Obama Gives U.S. Corporations $76 Billion Worth Of Tax Credits via Fiscal Cliff: While Exploiting Working Americans aka; Rothschildism aka; Communism aka; Fascism aka; Banker’s Entitlements. 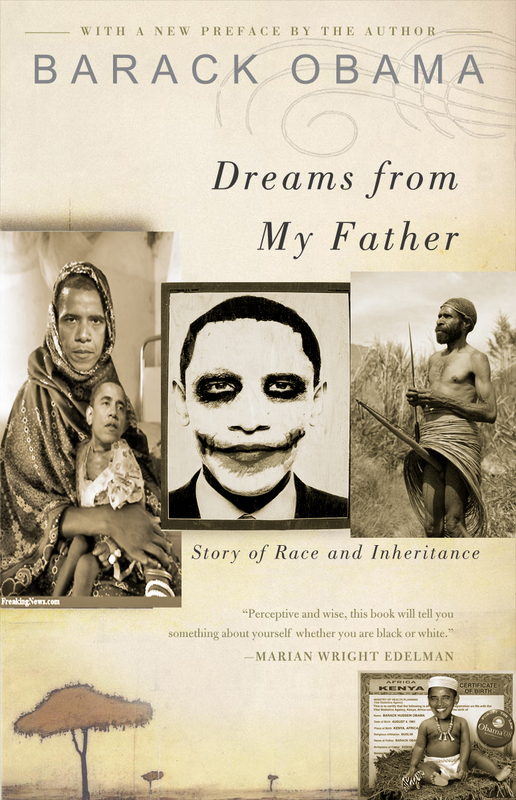 Barack’s father, Muslim, hard-drinker, was married three times, attended Harvard and returned to Kenya. Obama claims he was an atheist, but he was raised Muslim and was given a Muslim burial at Barack’s family’s request. Breaking => New Hampshire Nullifies Federal Government’s Indefinite Detention Rule NDAA As Unconstitutional..
After attending Occidental College and Columbia University, where he just happened to have foreign Muslim roommates, Obama moved to Chicago to work for the Industrial Areas Foundation, an organization that just happened to have been founded by Marxist and radical agitator Saul “the Red” Alinsky, author of Rules for Radicals, who just happened to be the topic of Hillary Rodham Clinton’s thesis at Wellesley College, and Obama’s $25,000 salary at IAF just happened to be funded by a grant from the Woods Fund, which was founded by the Woods family, whose Sahara Coal company just happened to provide coal to Commonwealth Edison, whose CEO just happened to be Thomas Ayers, whose son William Ayers just happened to serve on the board of the Woods Fund, along with Obama. FactCheck (sic) Obama’s College Classmate Speaks Out: Here’s The Scheme -> Overwhelm The American System By Debt For Corporate Control! Muslim Brotherhood Documents Could Put Barack Obama aka; Barry Soetoro In Prison. Obama joined Trinity United Church of Christ (TUCC), whose pastor was Reverend Jeremiah Wright, a fiery orator who just happened to preach Marxism and Black Liberation Theology and who delivered anti-white, anti-Jew, and anti-American sermons, which Obama just happened never to hear because he just happened to miss church only on the days when Wright was at his “most enthusiastic,” and Obama just happened never to notice that Oprah Winfrey left the church because it was too radical, and just happened never to notice that the church gave the vile anti-Semitic Nation of Islam leader Louis Farrakhan a lifetime achievement award. Hillary Clinton, Bathhouse Barry, & Jeremiah Wright’s ‘Gay Cover’ At Trinity Church: 3 Gays Murdered ‘Coup De Gras’ Within 6 weeks! Monsanto Has Been Removed And Banned By: Austria, Bulgaria, Germany, Greece, Hungary, Ireland, Japan, Luxembourg, Madeira, New Zealand, Peru, South Australia, Russia, France, and Switzerland! In 1994 Obama represented ACORN and another plaintiff in a lawsuit against Citibank for denying mortgages to blacks (Buycks-Roberson v. Citibank Federal Savings Bank), and the lawsuit just happened to result in banks being blackmailed into approving subprime loans for poor credit risks, a trend which just happened to spread nationwide, and which just happened to lead to the collapse of the housing bubble, which just happened to help Obama defeat John McCain in the 2008 presidential election. How Free Americans Became Slaves To The Rothschild Bankers: Glass Steagall Act Will Stop Them ~ You Know, The One Billy Clinton Repealed In 1999 That Allowed The Housing Bubble! In 2008 Sinclair held a press conference to discuss his claims, and just happened to be arrested immediately after the event, based on a warrant issued by Delaware Attorney General Beau Biden, who just happens to be the son of Joe Biden. Breaking => Mother Of Obama’s Murdered Gay Partner Speaks Up ~ All 3 Homosexual Members Of Obama’s Trinity Church Murdered Within 6 Weeks. Maurice Strong’s Global Warming Scheme Hits The Sphinx Of Egypt: Yes, Global Warming Is Just Another Banking Fraud! The Big Dogs On Wall Street Are Starting To Get Very Nervous: Coming To America? China & Iran to Execute Bankers On Fraud Charges! Obama just happened to save $300,000 on the purchase of a $1.65 million Chicago mansion for which he deposited only $1,000 in earnest money, while the seller’s adjacent empty lot which was appraised at no more than $500,000 just happened to be sold at the inflated price of $625,000 to Rita Rezko, who just happened to earn only $37,000 per year working for Cook County government, and who just happened to be married to Tony Rezko, who just happened to be Obama’s main money man for his political campaigns, and who only days before the Obama mansion purchase just happened to obtain a $3.5 million loan from wealthy Iraqi Nadhmi Auchi, who just happened to have been kicked out of Iraq, and who just happened to have been convicted of corruption charges in France, and who just happened to ask Rezko to ask then-U.S. Senator Obama to help him obtain a visa to travel to the United States. Bankers With Out Boundaries [NWO] ~ Obama’s French Felon Nadhmi Auchi & French Felon George Soros! Obama just happened to obtain a $1.32 million mortgage for his mansion even though the payments of $8,000 per month (plus at least $1,500 per month in property taxes) exceeded 50 percent of his $162,100 U.S Senate salary income, and even though Michelle Obama was claiming that she and her husband were still paying off substantial student loans and were struggling to pay for piano lessons for their daughters. Update On The Sudden Death Of Obama’s Sister Lia Soetoro: Information From The Consulate General Of The Republic Of Indonesia. In June 2005, just months after Obama became a U.S. Senator, Michelle Obama just happened to be named a “non-executive director” of the board of TreeHouse Foods, a supplier of Wal-Mart, for a salary of $51,200 in 2005 and $101,083 in 2006, and she just happened to be given 7,500 TreeHouse stock options, worth approximately $72,375, even though she just happened to know nothing about the private sector or running a business. Peddling Monsanto Poison To Our Most Innocent Our Children: Michelle Obama’s 2nd-Term Agenda ~ Impact Nature of Food With Monsanto! In 2006 Sarah P. Herlihy, an associate of the Chicago law firm of Kirkland and Ellis, whose employees later contributed $87,722 to Obama’s presidential campaign, and whose partner Bruce I. Ettleson just happened to be a member of Obama’s campaign finance committee, just happened to write a paper calling for the elimination of the “natural born citizen” requirement in the U.S. Constitution. 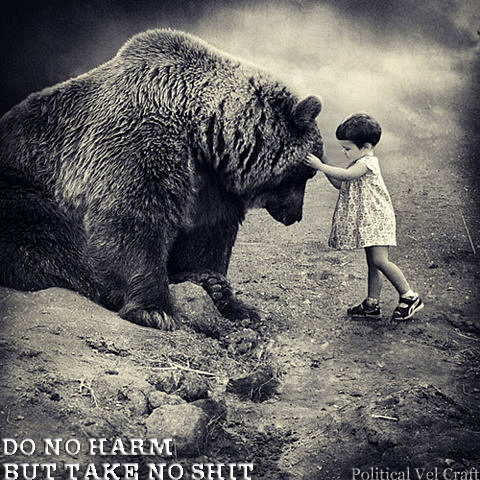 Democrats Mounted Concerted Effort To Eliminate ‘Natural Born’ Article 2 Section 1 Clause 5: Of The U.S. Constitution Just Prior To Obama’s Election! 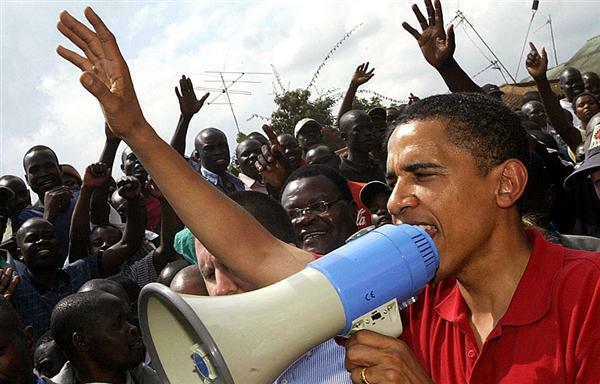 Obama campaigning for his muslim cousin Odinga in Kenya. Obama pretentiously absconded funds from the U.S. while he was an Illinois senator in 2006 to fly to Kenya. Christians were slaughtered after his muslim cousin lost. 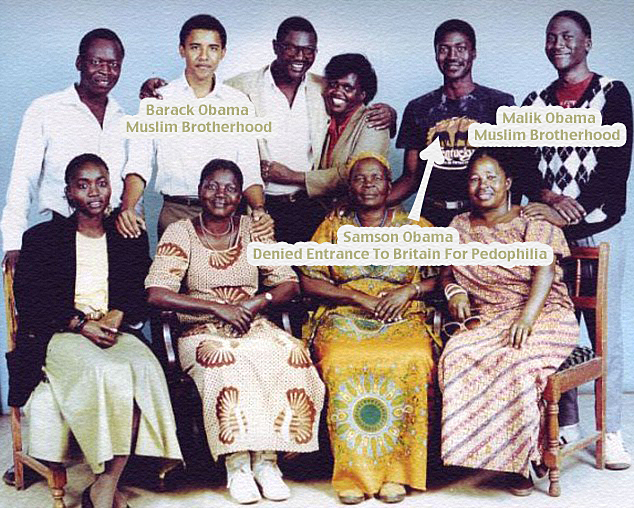 Obama just happened to visit Kenya in 2006 to support his cousin, Raila Odinga, a Muslim socialist candidate for president, who just happened to have ties to both al-Qaeda and Libya’s Muammar Qaddafi, and who just happened to have been educated in communist East Germany, and who just happened to name his son Fidel, and who just happened to plan on establishing Shari’ah Muslim law in Kenya, and whose activities prompted the Kenyan government to lodge an official protest of Obama’s passport abuse and misconduct, and Obama’s actions just happened to have been denounced by the U.S. State Department as being in direct opposition to U.S. National Security, and after Odinga, for whom Obama just happened to have raised $950,000, lost the election, his Muslim followers just happened to burn Christian women and children alive in a church where they had sought refuge. Obama Prosecutes 82 Year Old Citing 1994 Genocide in Rwanda – While Obama Campaigned For Genocide Thug Raila Odinga (Cousin) With American Tax Payer Money! In 2006 Obama endorsed Alexi Giannoulias in his race for Illinois State Treasurer and stated that he is “…one of the most outstanding young men I could ever hope to meet”—even though Giannoulias just happened to be only 29 years old and even though his family’s Broadway Bank just happened to finance Chicago crime figures like Michael “Jaws” Giorango, a Chicago thug with convictions for bookmaking and promoting prostitution, and even though virtually all of Chicago’s Democrat politicians were keeping their distance from Giannoulias, whose reputation was so questionable he even failed to get the endorsement of the Chicago Democrat Party—which just happens to almost never be concerned about questionable reputations. Muslim Brotherhood Gang Charged In Non-Muslim Child “Prostitution Ring”! Obama Sr. & Ann Dunham Obama. Obama’s mother, Stanley Ann Dunham, once worked for the Ford Foundation’s Asiaprogram, which just happened to be run by Peter Geithner, who just happened to be the father of Timothy Geithner, who just happened to neglect to pay Social Security taxes on much of his income, which just happened to somehow qualify him to be Obama’s Treasury Secretary. Lois Capps Author Of The Hidden ‘Capp’s Law’ In Obamacare Caught Again: Lois Pulls A [Daschle Geithner Capone] And Evades Uh Fails To Report $500,000.00 Dollars For Income Tax! During the 2008 campaign Obama’s passport records just happened to have been illegally searched by an employee of a firm headed by John O. Brennan, and Lt. Quarles Harris, Jr., who was cooperating with federal investigators in connection with the incident, just happened to be found with a bullet in his head, and the murder just happened never to be solved, and Obama later just happened to make Brennan his terrorism and intelligence advisor. Passport Witness To Testify Against Obama ~ Shot “Coup de gras” Outside Church! Democrat Harry Reid In ’06: Raising Debt Limit Is The Last Thing We Should Do. Video. ← Obama Colluded Chemical Weapon Attack On Syria To Blame On President Assad.